Discussion in 'General Chatter' started by Imi, Mar 11, 2007. I do birthday, invataions, thank you, symapthy Etc... i do singular and packs made to order ... thinking about doing it as a regular thing and setting up an E-bay shop so opinions would be much apreciated of what you think of my work! feel free to place an oreder pmsl!!! lol, will need to see what birthdays i got coming up! What do you reckon to prices?? I thought £2 per card including P&P ... 3 for £5=£5.50 P&P ?? Just need ppl to order lmao!! If you think something needs to be changed or you don'tlike them then let me know ... any feedback would be great!! 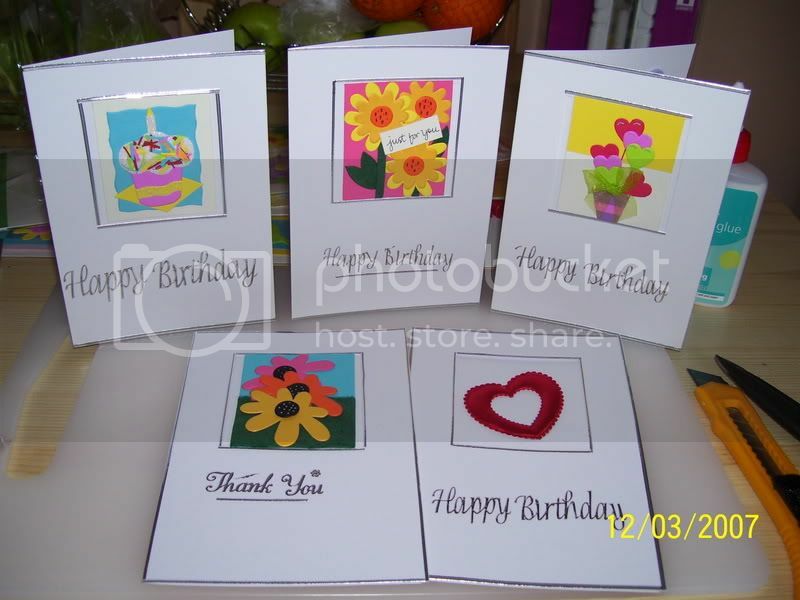 I dont know how much business you would get doing things like birthday cards, as much of a bargin as they are, its to easy to just nip to a shop at the last min and grab a card, you would prob be bast off focusing on the sorts of cards you can do in packs, like invitations, or childrens thank you cards, Xmas cards etc. 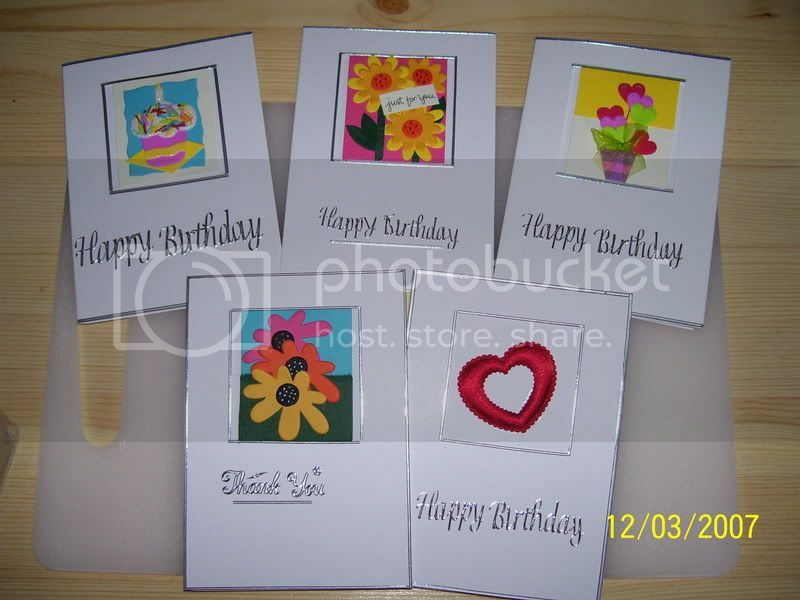 They look great, Personally i wouldn't buy them but thats because i do alot of card making and scrapbooking myself. But i'm sure they might sell. they will defo sell, good luck! Just finished my first 5 pack 2 sell ... fingers crossed! Finished pack of 5 ... What do you think? Lol ... hope you will be a buyer!! love finding new ways to spend OH's Hard earned cash!!!! Of course for BnB girls i will do 5 for £8 inc P&P!